Pets are the most trusty worthy animals. They safeguard our homes, and are also great companions. People love certain animals so they keep them at their home and take care of them. 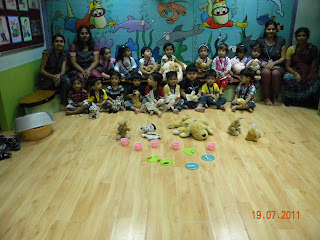 Playgroup children celebrated “Pet day” on Tuesday 19th July, 2011. Teachers had a dramatisation with the help of puppets. 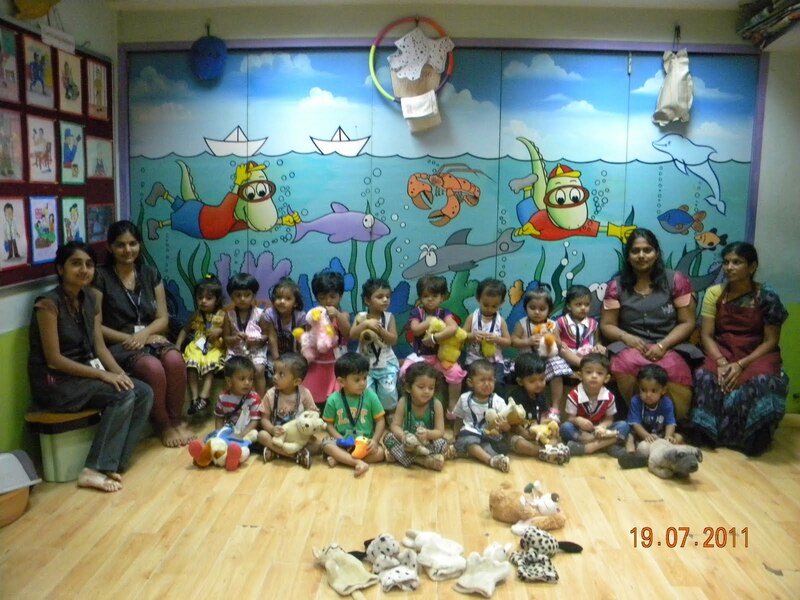 Children were requested to bring pets in the form of toys like dog, cat, fish, rabbit, etc. Children were informed about the importance of pets and their feeding habits eg. dog eats bone, cat eats fish, rabbit eats carrot and turtle eats french beans. 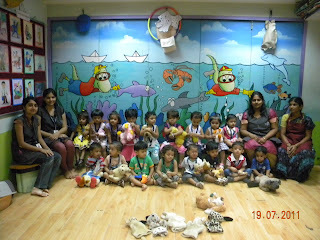 Children enjoyed playing with their pet toys and everyone participated with complete zeal and excitement.